Delegation of New Generation Entrepreneurs in Jiang du qu Yangzhou City of Jiangsu Province of the People’s Republic of China (hereinafter referred to as “China”), led by Mr. Shen Ren Li, Manager of Organization Department of Chinese Communist Party in Jiang du qu Yangzhou City, visited Japan from April 24th through 27th 2012. 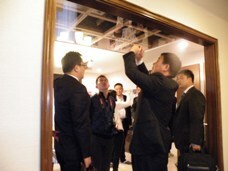 This delegation was made up of 21 personnel, and they were all highly-motivated young entrepreneurs. Welcome dinner party was hosted by JICE on the first day. Mr. Kazuhisa Matsuoka, President of JICE/ Ms. Sachiko Yamano, Vice President of JICE/ Ms. Yukari Iizuka, Director of Hokkaido Office/ and Ms. Shoko An, JICE Coordinator, attended the party and discussed various issues such as the current situation of public enterprises in Jiangsu Province and things to do in the future. 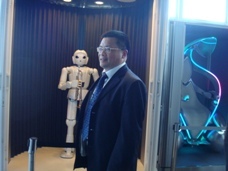 Mr. Matsuoka made a speech saying, “Yangzhou City is one of the most flourishing regions in China in terms of medicine, chemical industry, and electronics industry. I am looking forward to the outcome of this visit.” Mr. Shen, the Leader of the Delegation said, “Yangzhou City is located in the center of Jiangsu Province. Since Jiang du qu is where Jianzhen, a famous Chinese monk in Japan, was born, everybody was very excited about visiting Japan. 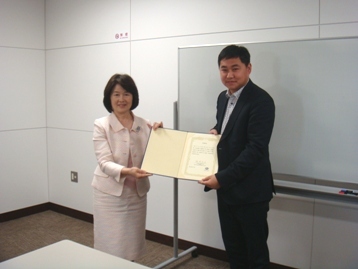 We appreciate your warm welcome.” We received so many opinions and requests regarding the training program from the participants starting with Mr. Dan Wu, Jiangsu People's Association for Friendship with Foreign Countries. 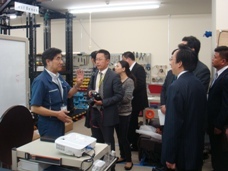 On the second day, we visited Nitori Holdings Inc., and Panasonic Inc., in Tokyo. 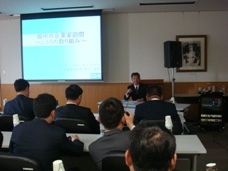 At Nitori Holdings, Mr. Michio Sako, Executive officer and head of the Organizational Development Post, held a lecture and went on an observation tour in the Technological Analysis Room, and the shop in Akabane, Tokyo. This company’s profit has been increasing for 25 consecutive years by constantly figuring out a way to lower costs. Many participants raised their hands to ask questions about their considerate training program of man power and their work ethic. 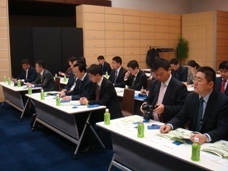 At the Panasonic Inc., we attended a lecture about “How to become the No1 Eco-Innovative Enterprise”. Many participants showed strong interest and they were listening carefully to the story about how to improve the efficiency of energy, and about the system of recycling. After the lecture, they went on an observation tour at the Eco Idea House. They all listened enthusiastically to the explanation of futuristic products, and they actually learned how to use them. 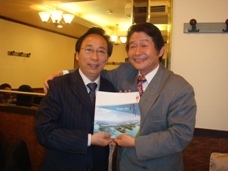 In Hokkaido, they visited Home Kikaku Center (House Designing Center) and Hokkaido Branch of Toyota Motors. 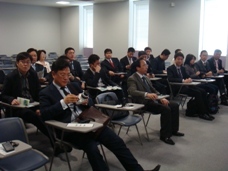 They listened to lectures about their mission statement of Japanese enterprises and they learned about the advanced method of factory management. Home Kikaku Center’s goal is to build healthy houses, and they gave an explanation about the “House of Charcoal” that they’ve developed. Afterwards, they held lectures about their management policies and their mission statements. 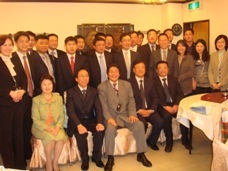 Most of the participants were the leader of their respective enterprises, so it was a great role model for them. They’ve actually looked around inside the model of the “House of Charcoal”, and many people asked questions about its air-conditioning system and its cost. 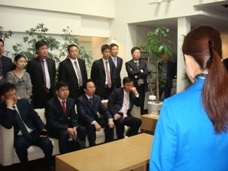 At the Hokkaido Branch of Toyota Motors, they went on a tour inside the factory. They were informed about “Automation” and “Just in Time” which are the manufacturing methods of Toyota. There were many factory owners among the participants, and they all highly praised the thorough management of Toyota’s manufacturing process. Since they are all entrepreneurs, many questions were asked regarding the system of the employees and training methods. 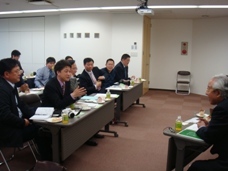 JICE is determined to join hands with Japanese firms to design programs that meet various needs.